From storefronts and window panes to the most stunning state-of-the-art buildings around the world, the role of glass in architecture has evolved immensely over the years. The ubiquity of glass facades and structures is echoed on glass’ abilities to enhance, diffuse, reflect and transfer light as a result of its transparency. In recent years, glass has taken on new life on account of its structural properties. 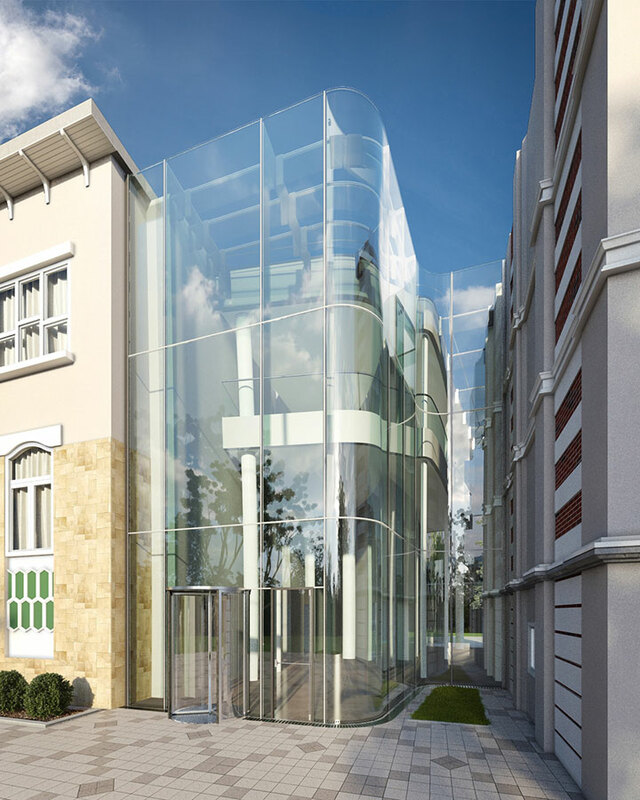 Beyond other known techniques, such as structural glazing and point-fixed glass systems, structural glass systems use glass as a true load bearing element. This notion of supporting a structure solely with glass has opened up new possibilities and challenges in contemporary architectural design. Driven by the desire for more transparent structures, the expanses of glass continue to grow larger and consequently more complex. In structural glass systems, the primary challenge for load-bearing glass is material integrity. While in engineering glass facades, the two essential design criteria are stress - the structural strength of the glass when subjected to various loads; and deflection - how much the glass will move when subjected to forces such as wind. The latest improvements in fabrication coupled with innovations in glass technology have amplified the inherent strength of the material and have led to daring advances in glass engineering. GLASSCON recently provided structural design and engineering services for a structural glass atrium that serves as an entrance lobby. The atrium facade is characterized by maximum transparency and abundant daylight and was designed to fit seamlessly into the existing building’s architecture. In pursuit of absolute transparency and minimalistic design, the frame is eliminated and replaced by all-glass elements. The structural support system is a glass fin/ beam system consisting of one-piece multi-laminated glass panels of various sizes. This frameless structure makes the interior space come to life with its light-as-air appearance.